The first time I read the book ‘The Shack’, by Wm. P. Young, was the first time I heard an emotionally & Biblically true parable of what the Love of God can look like. What I read seemed to clash with a lot of ‘images’ and beliefs of who I thought God, Jesus, and the Holy Spirit were. Growing up, I was never taught about the profound love and acceptance the Trinity had towards me, instead, it was quite the opposite. I always believed God was distant, relationally unapproachable, and any connection with Him was conditional based on my positive or negative behaviour. I was living ‘judged’. Believing God was frowning down on me and only once in a while giving me a nod of approval, hindered my ability to trust anything He had to say to me. It hindered my ability to believe some significant truths found in the Scriptures. I was living ‘shamed’. The European concept of raising and educating children is a shame based model. Shame the child into submission or into proper behaviours. This is what I grew up with in school and at home. This false identity belief, caused me to enter into situations that brought even more shame & pain into my life. Each new experience of shame and pain would affirm the lies I already believed about myself. Shame’s pathway led me into a horrific experience of being sexual abused. This pathway was fuelled by the belief that I just wasn’t good enough, that I was judged and, that I was shameful. guilt is message that says “I have ‘done’ something wrong’. 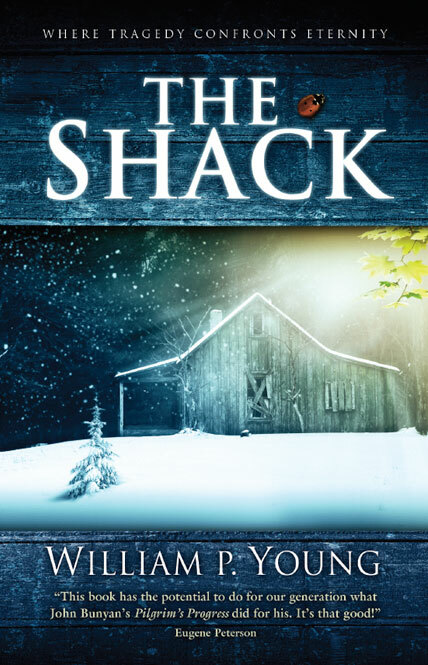 Thanks in part to the book, ‘The Shack’, I have come to see how God can use terrible tragedies in our lives for our good, for our better future, and the circumstances that have happened are NOT a reflection of the goodness of God or the ‘badness’ of me. God does love us, and we will act out our lives based on exactly how we believe or disbelieve this fact. I am learning to ‘live loved.’ For the past 15 years, I’ve been discovering a life changing truth that God is in fact ‘LOVE’. The more I learn about what that means and what it can look like in my life, the more exciting my journey of grace is becoming. I’m learning that shame has robbed me of so much and I will never let it do that again. I’m learning that Papa God is completely for me and that He works all things together for good. I am learning that God is at work within in me and I am learning to hear his voice more and more. Today, listen…..listen VERY carefully…. there is a voice coming from ‘within’ speaking to your soul, mind and heart. It is a voice that says, you are good, you are loved, you are accepted. It is the voice of God in you. Can you hear it today? Do you believe you are loved by God, by the entire Trinity? Do you believe they actually ‘LIKE’ you? Can you hear the voice of God IN YOU? Papa God, i want to hear your loving and tender voice within me. Can you speak loud enough for me to hear? Can you reduce the noise and distractions around me so that I can recognize your voice? ← Day 20: What NOT to Wear! Hey Mike. Really being encouraged by your Blogs. Sharing them with our Community Group and family. Keep it coming buddy. BLessings on you and our brothers and sisters and family there in Kitchener/Waterloo. Thanks Mark, Looking forward to meeting your grace group in Alberta!! !